From Grande Prairie: Travel 68 km south on Hwy 40. Cross Cutbank River and turn east on Teddy Lane. 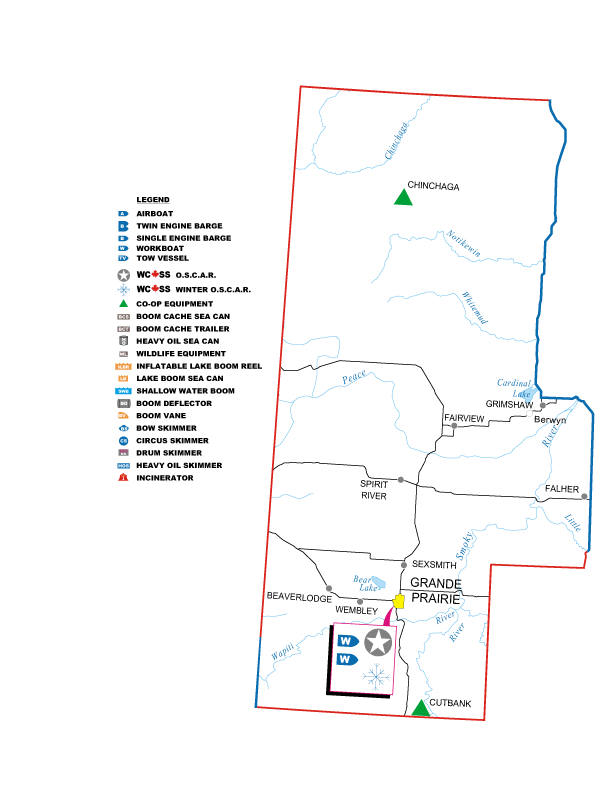 Plant site is 2.2 km east. From Grande Cache: Travel north 114 km on Hwy 40. Turn east on Teddy Lane. Plant is 2.2 km east. Directions: On Hwy 35, travel 16 km from Manning north to Chinchaga Forestry Road. Turn west for 75 km, then north 5 km to plant site.